The circle shape first found its origins in the form of the sun, moon, and planet Earth. It’s a take for granted form that dominates every part of our daily experience from the wheel to gears in modern machinery. While researching the de Young for the upcoming residency, the shape dominated the museum including the outside copper façade designed by architects Herzog & Meuron. To me, the circle symbolized the artwork contained within the museum. 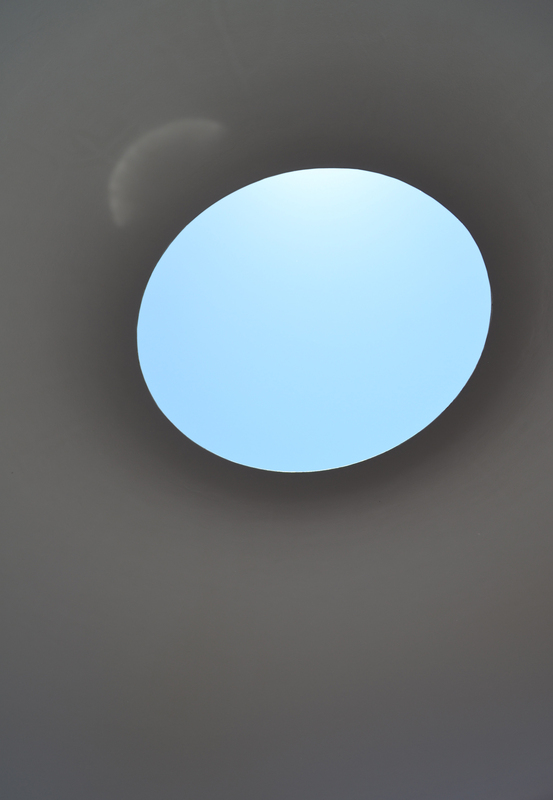 Inside James Turrell’s Three Gems. JBD.9.13.42828, Pen and Ink on Paper, 28×28 inches on 44×60 inches paper. 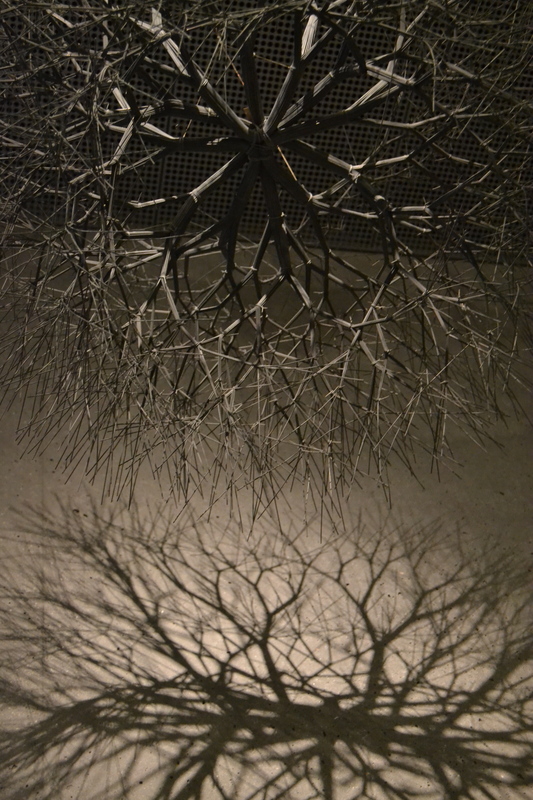 Ruth Asawa sculpture in the Hamon Education Tower. The circle format will be highlighted in the residency drawings; inspired by the museum’s artworks. For example, the base of the de Young tower houses the best collection of Ruth Asawa’s art in the world. According to the museum: “This installation of fifteen metal sculptures offers an overview of San Francisco artist Ruth Asawa’s signature vocabulary based on the visual possibilities of wire….In this work, she performs a series of uncanny metamorphoses, revealing the structural properties of natural forms and transforming the commonplace into metaphors for life processes.” JBD.9.13.42828 investigates Asawa’s innovative use of lines and shadows. 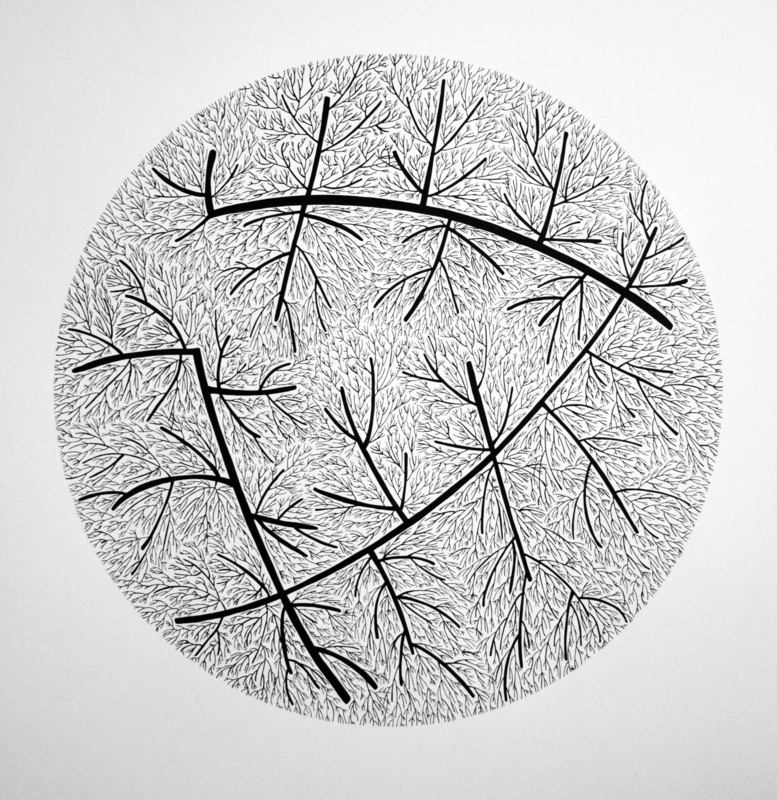 As a result, patterns emerge similar to occurrences in the natural world. With the recent passing of Asawa at the young age of 87, her wire sculptures will undoubtedly continue to engage and influence new generations. The Pool of Enchantment from above. 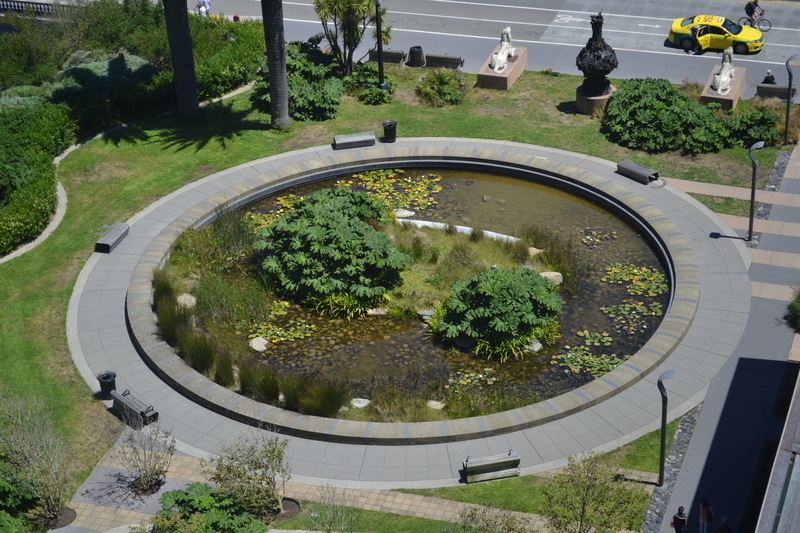 Moving outside of the de Young Museum, the circle shape embraces the three fountains among the plaza including the Pool of Enchantment that stands as a reminder of the old with its guarding sphinx sculptures. It’s a popular location for visitors near a manmade “fog bog.” In front of the pool across the street, the perfectly pollarded London plane and Scotch elm trees create round tops and shadows. 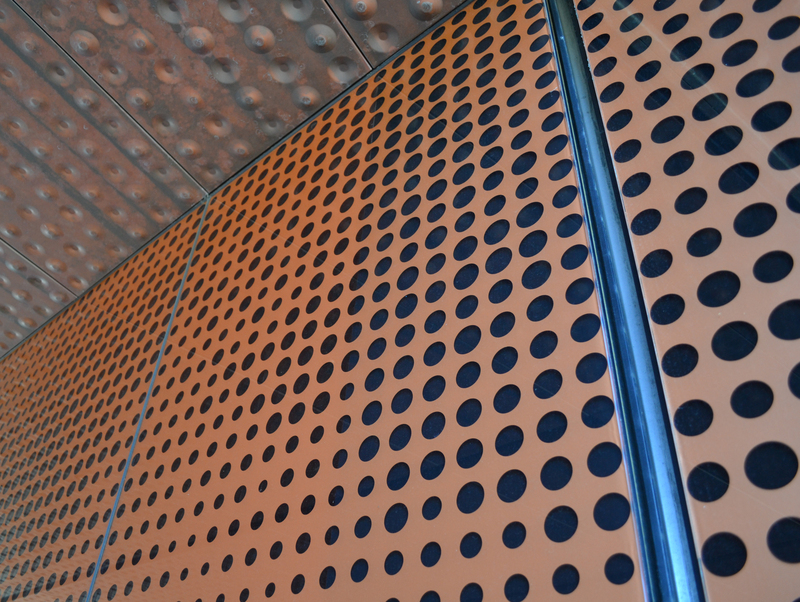 If one takes the time to investigate their surroundings, patterns emerge. Overall, the artist in residency does feel like a “full circle” moment. It makes me hopeful and excited for the unknown future. No sneak peak needed here. Content whatever shape or form it arrives.